To duplicate or 'save as' an existing project, Click on a project item in dashboard and select 'Duplicate' from the menu. 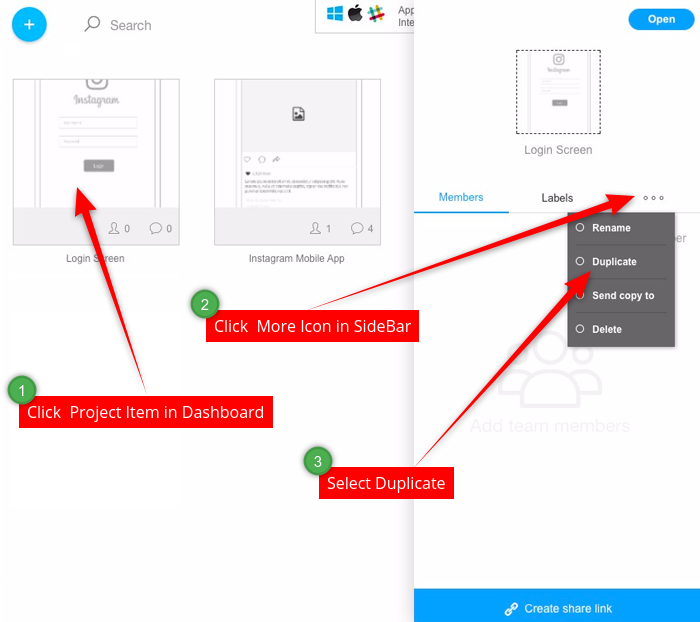 This creates a full copy of the selected wireframe project excluding comments. Note: The new project created is independent of its original copy.